SHANNON SPENCELEY, RN, PH.D. | BRAD HAGEN, R.PSYCH., RN, PH.D.
BARRY HALL, PH.D. | OLU AWOSOGA, PH.D. 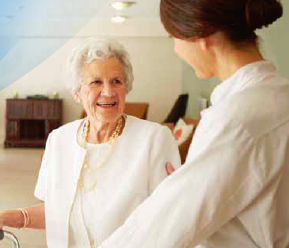 The main objective of this two year study was to explore the nature, extent and effects of moral distress among nursing caregivers (registered nurses, licensed practical nurses and health care aides) providing care to persons diagnosed with dementia and living in long term care (LTC) and assisted living (AL) environments. The research was undertaken in Southern Alberta in two phases. Phase one involved interviews with 18 nursing caregivers of persons with dementia, to understand situations that contributed to moral distress, and to inform the development of a survey instrument. Phase two included survey development and piloting (n=68), followed by a survey of a larger sample of nursing caregivers across 30 care facilities (N=389) to better understand the prevalence of moral distress among caregivers in these settings, the situations that trigger it, and its effects. Managing dementia-related behaviours; inconsistency of care; poor treatment of residents; family issues; and a model of care that doesn’t fit. Emotional, psychological, physical and relational costs, as well as impacts related to reduced job satisfaction and a desire to escape the workplace. having more hands to do the work; the presence of supportive managers to listen, explore solutions and follow up; peer support, mentorship and opportunities to talk and even just share laughter; more education to care for residents with dementia. For all caregiver designations, the situation causing the highest levels of moral distress was reported to be “seeing the care suffer for residents with dementia because there are not enough staff to do the work”. 33.1% reported engaging in unhealthy behaviours as a result of moral distress. Approximately 40% of respondents reported that moral distress reduced their job satisfaction a “large” or “extremely large” amount, and another 35.6% reported it had reduced their job satisfaction a “moderate” amount. Moral distress is a prominent feature of the nursing care of persons with dementia in residential care settings. Staffing levels in these settings have been identified as significant and frequent contributors to situations creating moral distress. Moral distress is contributing to a nursing workforce in these settings that is feeling frustrated, physically and emotionally exhausted, powerless and angry. Leaders in continuing care would be wise to attend to the magnitude and frequency of moral distress suggested by this study, as well as to exploration of the strategies suggested as potentially helpful in reducing moral distress. Future research should explore the influence of suggested strategies to reduce moral distress including interventions focused on leadership development and team building, clear performance management processes and policies, as well as mentorship and knowledge development in dementia care.